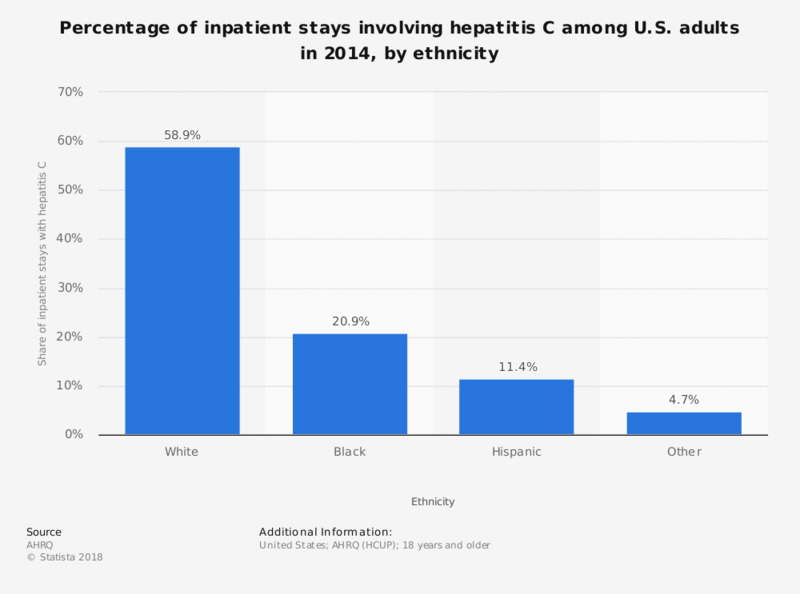 This statistic shows the percentage of inpatient stays involving hepatitis C among U.S. adults in 2014, by ethnicity. It was reported that some 59 percent of all adult inpatient stays involving hepatitis C were among white patients. Statistics on "Hepatitis in the U.S. "